1. Where am I? How do I feel? Who am I? 2. What is crossing me? What is the problem? What is making me feel out of place? 3. What am I made of? What is my foundation? 4. The past—how did I get here? 5. A peak into the future. A message from my guides. 6. Some advice (two cards). 7. Where to go. What’s next? (two cards). This spread was inspired by the Statue of Liberty in New York Harbor. The full name of the statue is Liberty Enlightening the World. This isn’t about patriotism, but instead about the goddess Libertas literally erasing the darkness, giving us the freedom to see. Use this spread as your own personal torch. When you can’t see through the darkness, light this torch and let it guide you. Try using this spread when politics has got you down, and you’re feeling helpless. This is a deeply personal spread, and you’ll get the most out of it if you journal your experience. 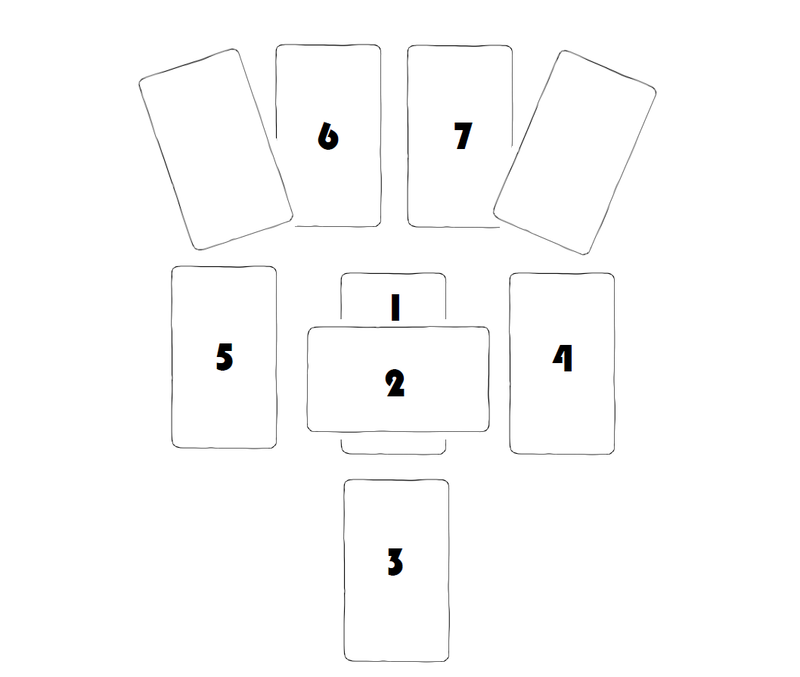 Write out your interpretations of each position (use both cards together in positions 6 + 7 to find meaning), and then go back and look at the reading as a whole. Spend some time journaling about why you wanted to try this spread, and what, if any, clarity it has given you. The revolution starts within. Your torch is already inside you. Let this spread help you rediscover it.